Absolute success cannot be achieved easily. You need to make it your life goal to be the best that you can be. And it all starts with picking the right habits. Our friends over at www.findmyworkspace.com discuss the 5 habits of successful homepreneurs. Establishing and sustaining a business while working from home is by no means an easy feat. You have to juggle home chores and business deals, make the most out of your limited office or workspace, and come up with quality products and services while keeping your mind away from the distractions available at home. But being a homepreneur gives you more freedom, helps you save money, and allows you to spend more time with your family. If you want to start running a business from home, check the top 5 habits you must form in order to succeed in your venture. (1) Invest in (and maintain) an appropriate workspace. Establishing a business in the comforts of your home takes more than just a desk in a tiny nook in your house. Yes, it is a more convenient and cost-effective way to start a business – especially if you are testing your target market and your products – but you should still be investing in a workspace that will allow you to serve your clientele properly. Focus on being able to provide top value for your clients and customers despite conducting your business activities at home. If you are a freelancer offering services such as programming, writing, accounting, and graphic design, you should invest in an office space with quick and reliable internet connection and the latest electronic equipment. If you are into selling hand-made or home-cooked products, invest in a clean working area with the latest tools of your trade. A dedicated workspace, even if it is small, will allow you to focus on your job and will enable you to perform efficiently and effectively. (2) Work on continually improving yourself. Look for opportunities to improve your skills and to make yourself competitive with other people in your industry. Finding these opportunities may be a bit challenging if you are working on your own because you can’t rely on a department to look after your training and development. Invest in honing your skills and in learning new skills. Be on the lookout for trainings and seminars, and join groups and organizations that will allow you to network and be updated with the latest trends in your line of business. Find time to research and look for new methods, processes, and techniques that will help you improve your products and services. (3) Don’t forget to connect and build relationships. You work at home, but this doesn’t mean that you are a recluse! Meet your clients, suppliers and vendors face-to-face and not just through email conversations and online chat. Befriend competitors and spend time exchanging views and ideas with them. Take time to form meaningful connections that will allow your business to flourish. (4) Pay attention to your health. 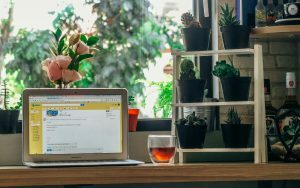 You probably want to avoid long and tiring travel times that leave you physically and emotionally stressed that is why you decided to work from home. However, a United Nations study entitled Working anytime, anywhere: The effects on the world of work reported that 41% of employees who can work anywhere are more stressed than 25% of those who go to an office. Furthermore, 42% of those who work from home and those who can work anywhere can’t sleep properly at night compared to just 29% of those who report to an office. This is probably because home-based workers think that they are always on-call. The line between rest and work is most often blurred when you are a homepreneur. Create a work schedule and stick to it. Do not ignore your body’s need for rest and recreation. Relax your mind when you aren’t working, but focus fully on your tasks during your scheduled work hours. Don’t forget to include proper meal times in your schedule! 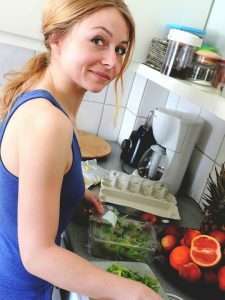 You are already at home, so you should be eating healthy meals throughout your day. Prioritizing rest and proper meals will make you healthier and more productive, and the setup will allow you to devote ample time with your family and friends. (5) Have a vacation too! Hit the snooze button once in a while. 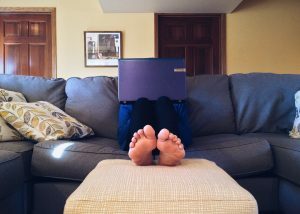 Working at home may be comfortable already, but you have to get out every now and then and have a life outside of your home office. Take your kids out to dinner, watch a movie, meet your friends, or take a walk around town to have a change of scenery. Every few months, plan a trip somewhere and do not bring your work along! Allow yourself to miss working once in a while to maintain a healthy relationship with your job. Being a home entrepreneur has its own set of problems and challenges. Just remember these five habits in order to successfully go over the obstacles that you may meet in your road to success. So yes, hit that snooze button. Plan your day, follow your to-do list, but don’t be a slave to your daily responsibilities. You’re right about that. It was a huge adjustment for me when I first started working at home. But now, I’m really enjoying myself a lot! Not as much pressure as working in the office. Great advice here. Yes, in particular creating a comfortable and productive work space is key. This also goes hand in hand with time blocking – so dedicated space + dedicated time = great productivity. Thanks! It’s important to pick the most suitable workspace for you. That is what Find My Workspace does for its clients. We find the best place for our clients all over the world. We want them to maximize their earning potential. You caught me with that number 4. I’m a victim to that percentage of people that don’t sleep well at night. I pray it does not come calling on my health. Thanks for the advice, anyway. It’s one of those things that comes with building a new startup. As the old saying goes, “health is wealth”. You should always take care of yourself so you can be healthy enough to do whatever you want. You deserve to rest your mind and body every now and then. Paying attention to your health can be a challenge when your own home is your workplace. It is absolutely imperative; it becomes easy to let yourself go when you work in the same place that you hang out and do things you love to do. Thank you for this post, it’s a great source for the homepreneurs that are just starting out! You are right. But, I think some people would disagree as I know people who find it less stressful to work at home instead of the office. Moreover, I believe that you should always get some to rest no matter what type of work setting you have. Stretch your legs out, look away from your computer for a few minutes, close your eyes for a while…a short rest can do big things for you. Yes, rest is always necessary! You want to avoid burnout regardless of your circumstances. Thank you for the response! Agreed. I often find myself unable to function – no matter how easy the content is and how much I normally enjoy it. I took this entire weekend off, and now I feel like new again.